Did you know that gum disease is the most widespread disease in the United States? Periodontal (or gum) disease distresses the soft (gum) and hard (bone) structures that anchor the teeth. Infection sets in the soft gum tissue of the mouth as bacteria caused by plaque is combined with rotting food particles lodged between teeth. The first phase of periodontal disease is known as gingivitis. This disease causes the gums to become swollen and red due to inflammation as the body responds to persistent mouth bacteria. 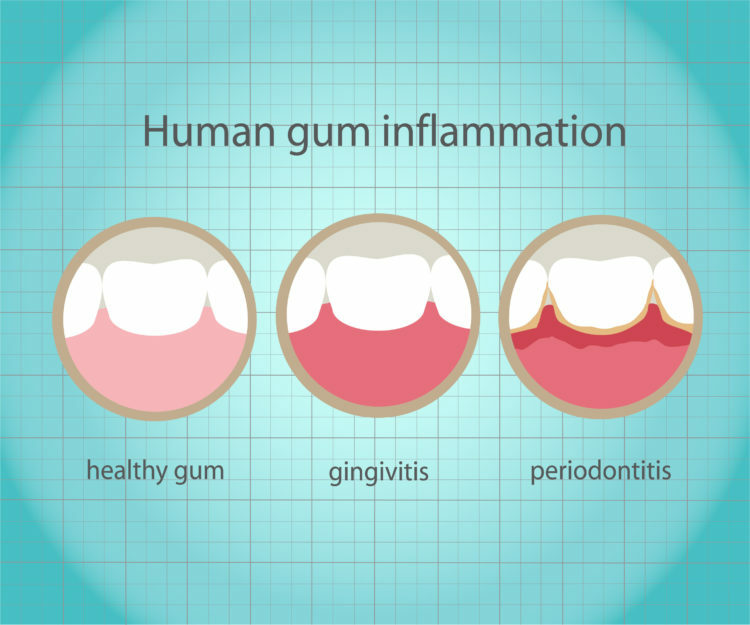 Much of sore gums treatment is aimed to combat this disease. The more severe and more destructive form of periodontal disease is known as periodontitis. Negligent dental hygiene and prevalent gingivitis eventually leads to the gums pulling away from the teeth as various supportive gum tissues begin to decay. Periodontitis can eventually lead to bone loss and possibly the loss of teeth. A healthy mouth means strong overall well being, but gum disease in its extreme form can lead to serious risks in other parts of the body. Research has shown that gum problems may be associated with increased risk of stroke, heart disease, and respiratory problems. How Does Dr. Priti Naik Prevent Gum Disease With Sore Gums Treatment? Don’t be afraid – Dr. Priti Naik is here to help you treat gum disease! Dr. Priti Naik and her staff are diligent in checking for the early warning signs of gum health detriment in all her patients and providing a full scope of sore gums treatment. The first step in preventing gum disease is overall strong dental hygiene. Strong practices includes a correct brush stroke, daily flossing, the use of mouthwash, and regularly scheduled dentist visits. Preventive techniques are discussed with each patient during their visit to Dr. Priti Naik’s office. Dr. Priti Naik uses a wide range of sore gums treatments to meet the needs of her patients. In some cases, an innovative type of dentistry in laser treatment is combined with comprehensive periodontal therapy to encourage gum healing through the use of a diode laser on soft tissue. Priti Naik, DDS and her staff are careful in using multiple sore gum treatments to help thwart and reduce extreme cases of gum disease. However, some advanced cases of periodontitis may require surgery and a Periodontist, in which case Dr. Priti Naik and her team will refer you to a trusted colleague.